A content calendar helps you to visualize how content is distributed throughout the year. It also allows you to plan content around key events or important dates in your industry. Creating a content calendar can seem overwhelming before getting started. However, taking advantage of online templates and finding a systematic approach to planning your content allows the process to become very straightforward. 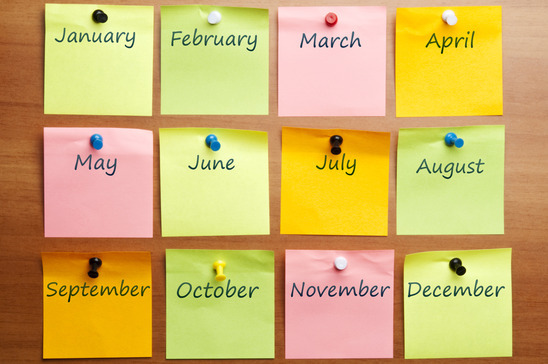 We have boiled it down into 3 simple steps to help you create your own content calendar. Before getting started, identify the audiences you will be targeting and the topics that will best appeal to them. This will give you a guideline to fill in with content your company has to offer throughout the year. Once you have identified your audiences and topics for your calendar, identify your content assets that correlate accordingly. Taking an inventory of your current content will allow you to determine areas where new content needs to be created. Finally, put all of this information into a calendar. There are a variety of free content calendars available online, making it simple to insert your information in an easily understood format. Once the calendar is completed, start publishing the content. Track how your audience is engaging with the content you are publishing and make changes when necessary. Still having difficulty creating your content calendar? The Harmon Group is here to help! Take advantage of our extensive knowledge in creating content calendars today!